Baracuta G9 Varsity double stripe harrington jacket in faded black. 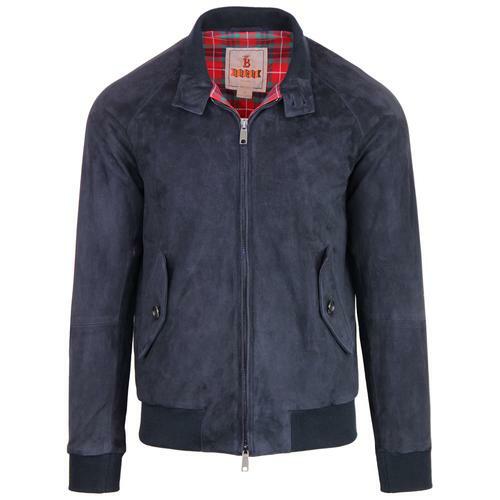 This awesome made in England men's harrington blends retro preppy and varsity sports style with the classic mod Baracuta G9 silhouette. The retro double stripe detail in green and white to the chest pays homage to traditional British collegiate and university attire. The Baracuta G9 Varsity Double Stripe Harrington Jacket is a visual take on a true outerwear icon. Revelling in it's Ivy League credentials and offbeat indie style, the Baracuta G9 Varsity is sure to be a hit this Spring/Summer season. About the Baracuta G9 Harrington: This Made in England Varsity G9 maintains specific attributes associated with the legendary Baracuta G9 Harrington. There's the trademark Baracuta 5 point umbrella back vent, classic retro ribbed trims, the mod double button collar with rib cord insert and of course the traditional button down G9 harrington flap pockets. The iconic Baracuta Fraser Tartan lining features prominently and benefits from breathable cotton/polyester Coolmax® technology. 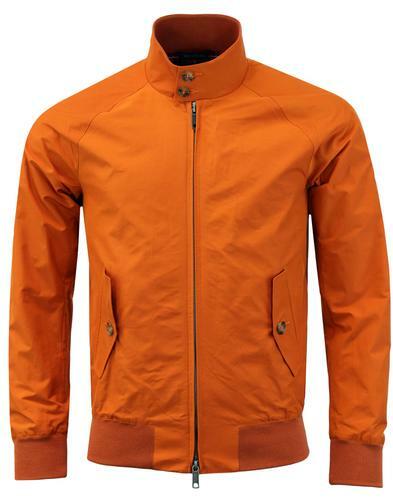 The jacket is finished with double zipper detail. About the Baracuta G9 Varsity Harrington Jacket This Baracuta G9 Varsity harrington features a stand out green and white retro double stripe detail that runs across the chest and onto the sleeves. The retro stripes in conjunction with the intricate embroidered Baracuta signature chest detail ensure this G9 harrington embodies classic Collegiate and Varsity style. 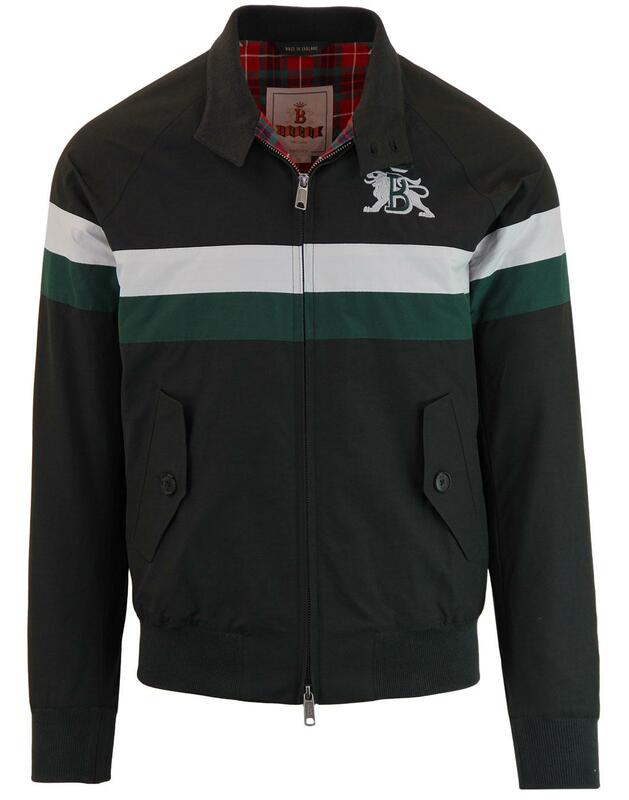 - Baracuta G9 Varsity double stripe harrington jacket in faded black. 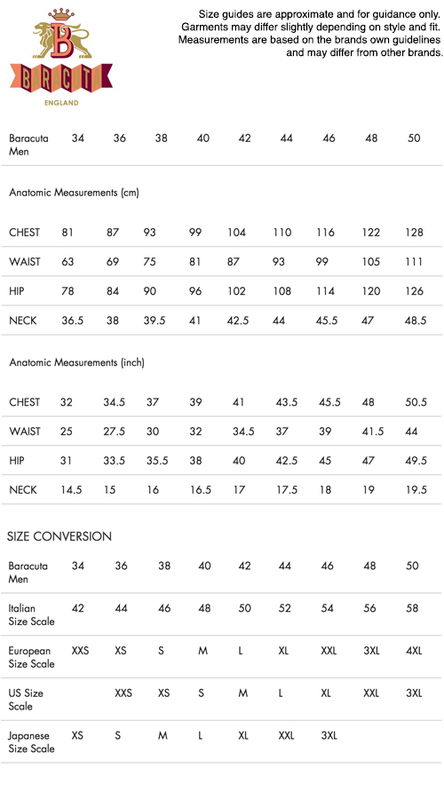 - Retro double stripe detail to chest and sleeves in green and white. - Mod double button collar with ribbed insert. - Classic harrington button down flap pockets. - Baracuta 5 point umbrella back vent to ensure the rain falls away. 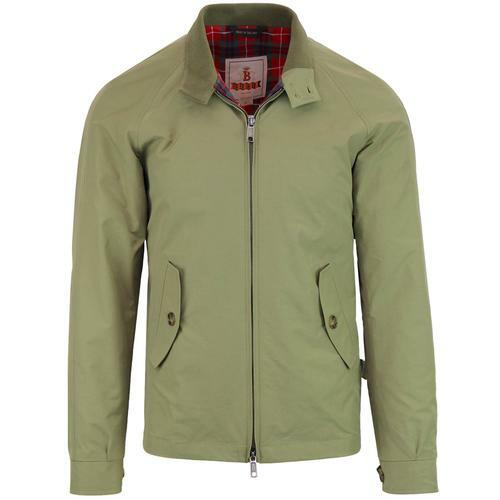 - Trademark Baracuta Fraser Tartan lining with breathable Coolmax® technology. - Baracuta embroidered signature to chest. - SKU: BRCPS0390 Baracuta G9 Varsity Double Stripe Harrington. Composition: 50% cotton, 50% polyester. Lining 1: 80% cotton, 20% polyester. Lining 2: 100% polyester. Care: Machine wash on gentle cycle at 30°. Please refer to garment care label for full care instructions.